Corpus Christi is a street-side chapel (1876) situated near the Arc De Triomphe on avenue de Friedland in Paris. 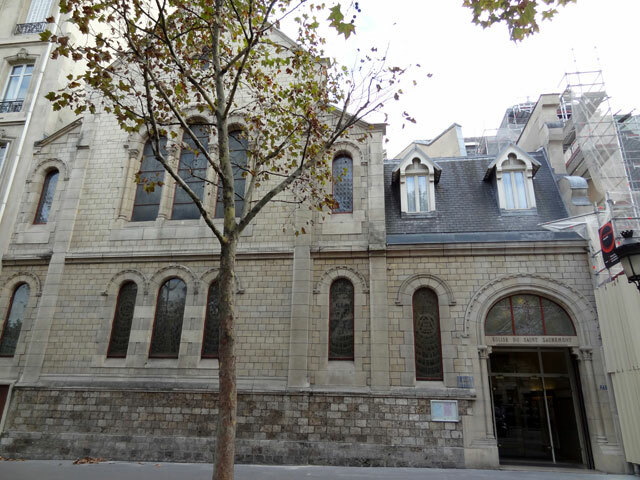 It was acquired by the Blessed Sacrament Congregation in 1876 to serve as the fifth residence of the Paris community (succeeding rented premises on rue Leclerc that were first occupied in 1869). This chapel contains the mortal remains of St Peter Julian Eymard, protected within a glass case in a special shrine. Before being installed at Corpus Christi, the case had housed the remains of Eymard’s friend the Curé of Ars (St Jean-Marie Vianney). The chapel also includes altar shrines dedicated to Our Lady and St Joseph. In 1877, Eymard’s remains in the local cemetery at La Mure were removed for interment in the Blessed Sacrament Congregation’s Corpus Christi Chapel in Paris, which had been consecrated in September 1876. The exhumation ignored the protests of the local people at La Mure and did not occur until after Eymard’s devoted sister Marianne had died in 1876. When Eymard’s remains were received at Corpus Christi on 19 June 1877, it was discovered that his body had not corrupted. A misguided attempt was made to assist preservation by the application of carbolic acid, but this resulted in a hastening of the normal processes of deterioration. Corpus Christi Chapel has high religious and historical significance as the resting place of St Peter Julian Eymard’s mortal remains. 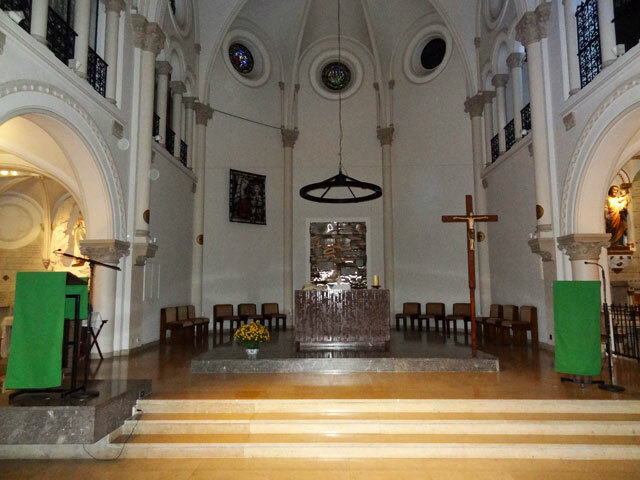 The chapel is also significant for its history as a place of veneration before, during and after the beatification and canonisation of St Peter Julian Eymard.